US flags line a stretch of road on both sides in front of 757 E. state Route 296 between US Route 68 and Kennard Kingscreek Road on Saturday, July 4. 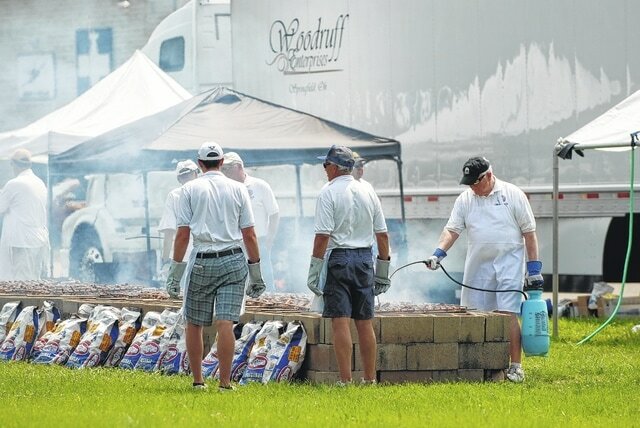 Urbana Rotarians line up to control the cooking in the barbecue pit on Saturday at Grimes Field. Bags of extra charcoal were lined up in front of the pit and Rotarians with spray tanks patroled the cooking area to keep the temperatures just right. 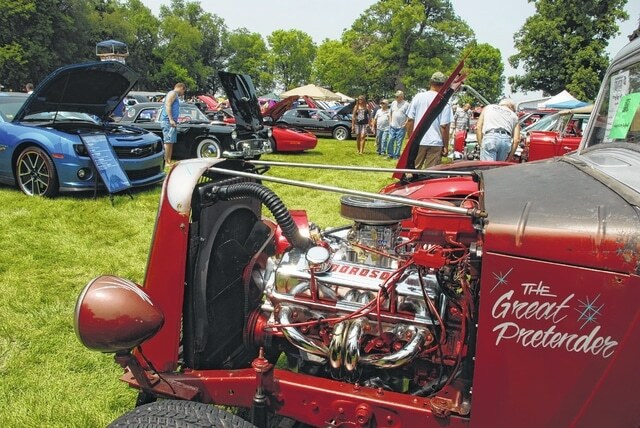 The Champaign Cruisers Firecracker show was held at Skelley Lumber on Saturday prior to the barbecue at Grimes Field. 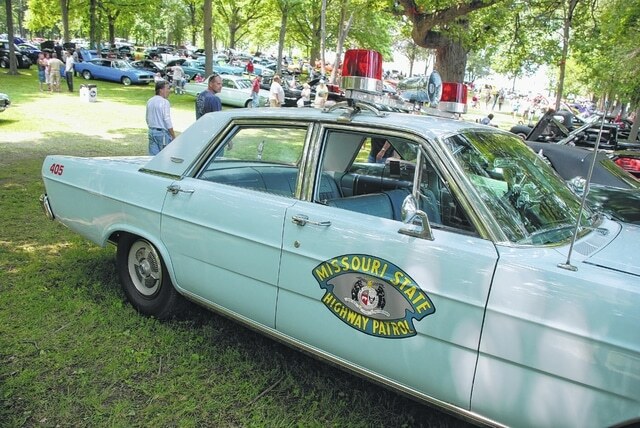 Cars and trucks from all eras lined the front lawn and the back woods for people to admire. Patriotic and whimsical themes alike drew smiles and comments from those in attendance. 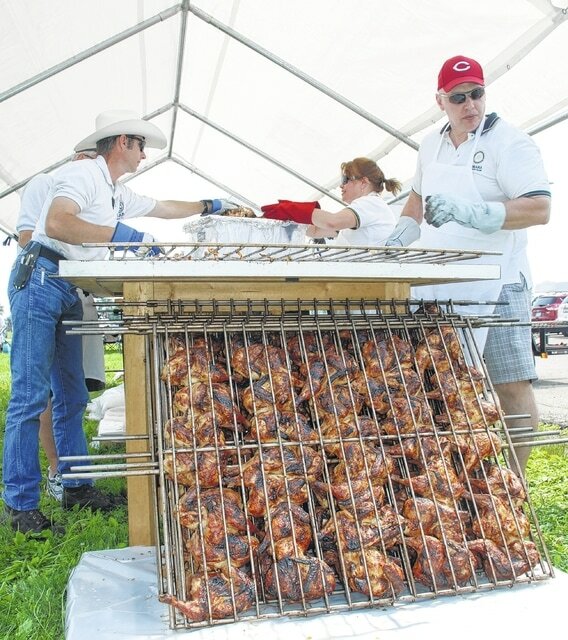 Urbana Rotarians Mike Terry (left) and Paul Waldsmith (right) unload a rack of barbecued chicken prior to the start of the dinner serving hours on Saturday at Grimes Field. 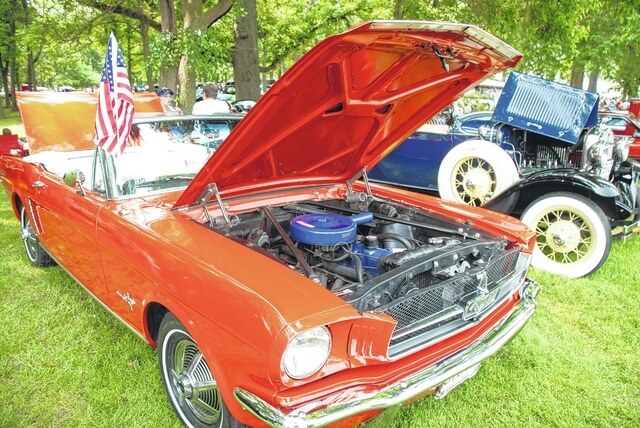 Pleasantly warm, sunny conditions broke a rainy spell for Independence Day on Saturday. 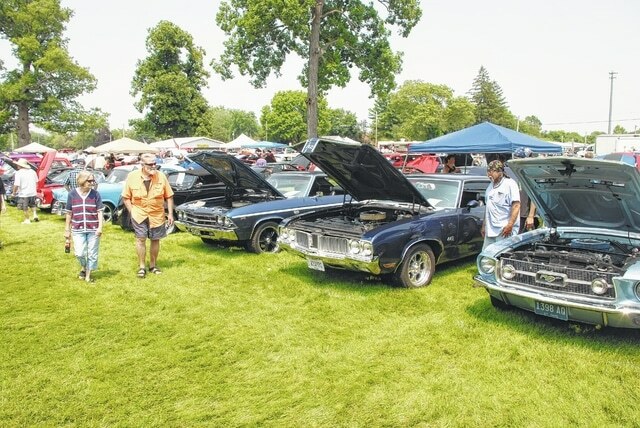 Rotarians held their annual Chicken Barbecue at Grimes Field and Champaign Cruisers hosted their annual Firecracker show at Skelley Lumber. 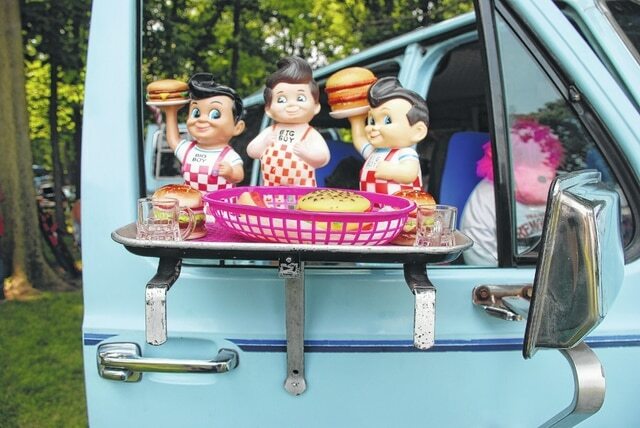 Mechanicsburg will host its day-long Summer Celebration on Saturday, July 11.